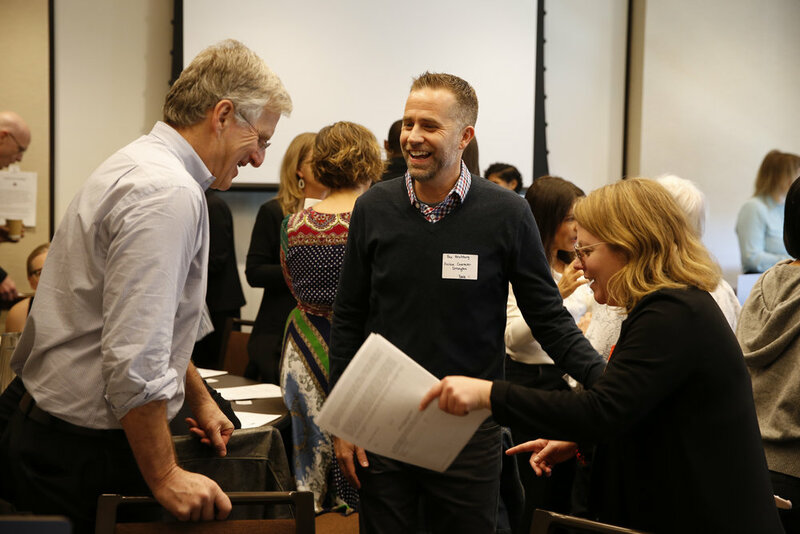 The UCLA and Ryerson University Center for Scholars & Storytellers SRCD Conference at the UCLA Luskin Conference Center Friday, February 22, 2019 in Los Angeles. 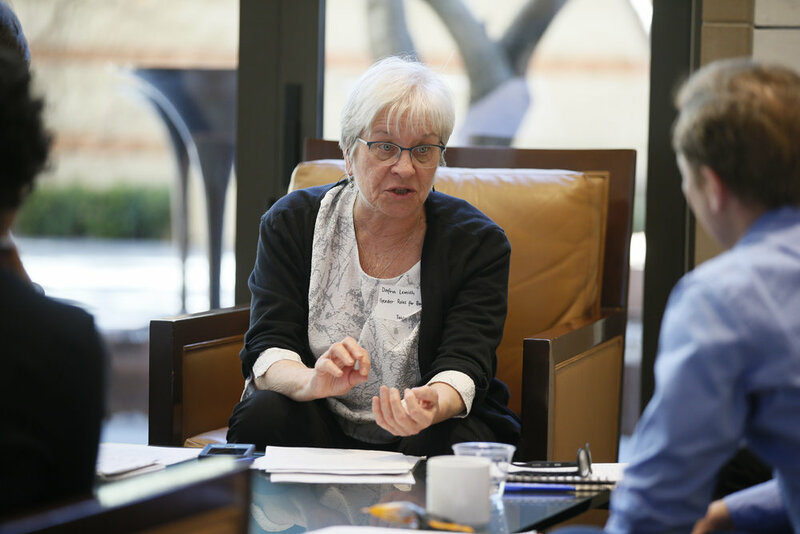 The agenda for our first think tank, held at UCLA’s Luskin conference Center. Co-Director Kim Wilson (left), Founder and Executive Director Yalda T. Uhls (center), and Co-Director Colleen Russo Johnson (right) welcome and introduce event topics. President of TriStar Productions Hannah Minghella gives an inspirational and personal talk on why researchers and storytellers can work together. 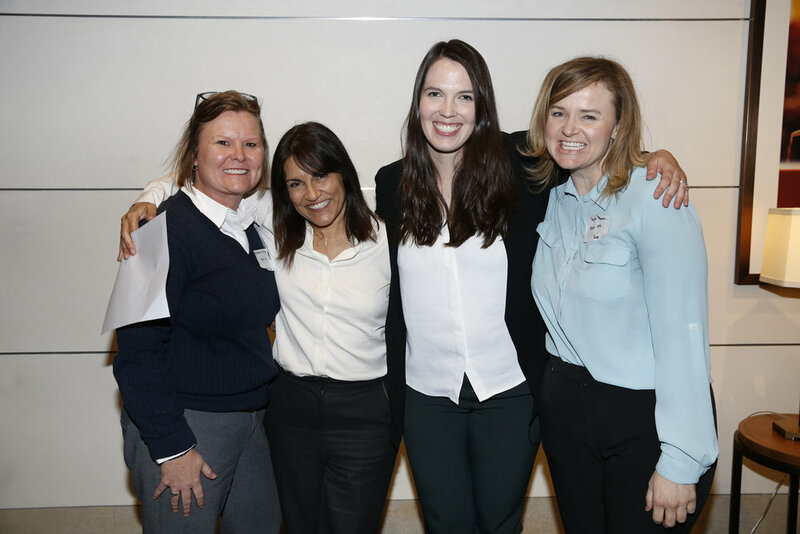 UCLA’s Tiffany N. Brannon, Ph.D.
At CSS’s first think tank held at UCLA, participants worked to share knowledge on how storytelling can support shaping positive character development. Media Researcher Darna Lemish, Ph.D.
Screenwriter, Director, and Professor at UCLA George Huang, CSS Co-Director Colleen Russo Johnson, UCLA’s Pritzker Center for Strengthening Children and Families Taylor Dudley, Participant Pictures Lynn Hirshfield and UCLA film student Matthew Johnson at the foster care table.